Nice and I like the R&R he choices. Colorado & Southern is a favorite of mine. Neat, though for that money, it better run and puff smoke. 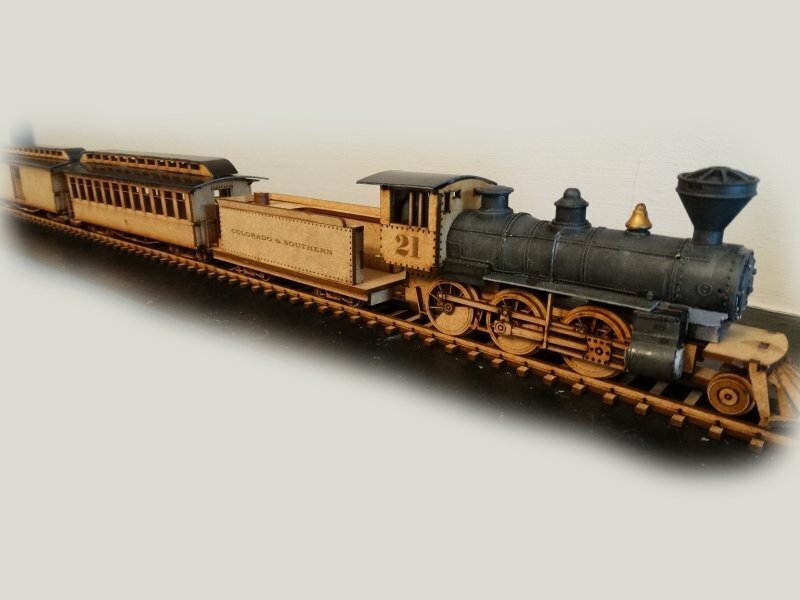 Dover Press has sold for years a perfect 1:60 scale cut-and-assemble post-ACW Locomotive with several useful cars, a Depot and Watertower, and (2D) track. 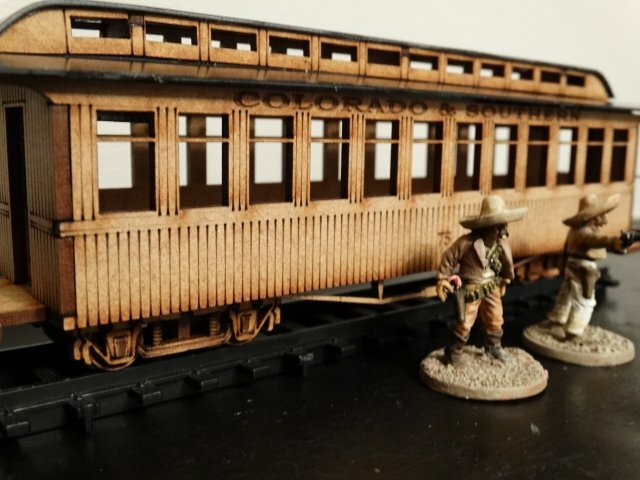 I built it years ago and still have it stashed away, and it's perfect for most Wild West Games. I was even able to mount the 2D track sections (suitably painted up) on foam board pieces and lay HO gauge brass track along the printed image. Then, I cut an irregular hole through one section, put a cardstock piece beneath, painted it all black, lay in some broken balsa bits, and I had a great looking blasted section. I think the whole deal cost me less than $15.00 USD (then) and it's lasted for years. That's a lovely model up there, indeed, but not for most wargamers' budgets.